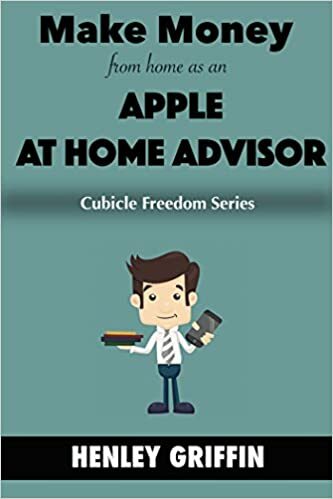 Part of the Cubicle Freedom Series, the book Make Money From Home As An Apple At Home Advisor teaches you everything that you need to know about this awesome work from home job. Are you looking for a way to escape your boring cubicle job and experience the freedom of working from home by doing technical support for Apple – with no experience required? You can make a comfortable hourly wage from the comfort of your own home AND earn regular benefits when you work for Apple as an At Home Advisor. You not need any technical skills or experience with Apple products to get hired in this position. All training is provided – and you get paid for it too! This job is a great way to earn some extra money from home or replace your day job’s income. While this book is short, it gives you all the information that you need to get started as an Apple At Home Advisor. There are no images in the book to inflate the page count – just facts. Once you finish this book, you will know how to apply for this job and what to expect.